Marissa Meyer, bestselling author of Cinder, prepares to launch Scarlet! Winning a Moonbeam Children’s Book Award was very exciting news. I bought my ticket to Traverse City, MI where I would receive my award at a banquet at the Top of the Park, an elegant restaurant in the tallest building in town. I was thrilled! Then I learned that I would be expected to make a 2-3 minute acceptance speech. Ok, a little less excited, but still…I know I can do this, just go in prepared. I spent several days hammering out a lively and amusing little speech that was guaranteed to whip the crowd into a frenzy of excitement for Askari. I practiced in my head on my drive, in the airplane and in the shower (I can’t look in the mirror and take myself seriously!). When I got dressed up and ready to receive my medal, I was confident, sweating only moderately, and praying that I wouldn’t sound like a blithering idiot once I’d stumbled my way to the stage. In that moment, I realized what my book Askari was really about. It is about honoring the greatness inside. I wrote it in honor of my eldest son Dale, who still has trouble finding acceptance. There are those kids (and adults) who don’t have obvious, measurable talents. They aren’t gifted athletes, musicians, intellectuals or whatever. For many, they are given labels and lumped together with all the other undesirables. For Dale, who is extremely handsome and intelligent (no, that’s not just my bias) but suffers from a learning disability and personality disorder, finding and keeping friends and finding an identity when so much focus is on what people can define you by other than your label, it was extremely tough and he is still working through, successfully, those challenges. I began the story of Cedron Varkaras with Dale in mind. A boy who doesn’t fit in because of his differences. Although for fantastic fiction, I had to blow the issues way out of proportion and up the stakes to make a compelling novel. So Cedron is tormented and bullied because he’s different, but once it becomes known that the Varkaras freak has magical powers, taboo in Askari-Barre, his life becomes forfeit. He has to escape the throngs of terrified Askari who want to destroy him, the evil forces who want to exploit him and discover for himself that his perceived failings are truly the only gifts that Muralia has for her salvation. The gifts that Cedron has are the same as Dale’s and are not his phenomenal magical powers, but something much more significant. Without giving away the ending to the third book in this exciting trilogy, I’ll just say that both Dale and Cedron have to learn to embrace their true natures, redefine what is valued and find the courage to move forward, honoring the greatness that resides within each of them. 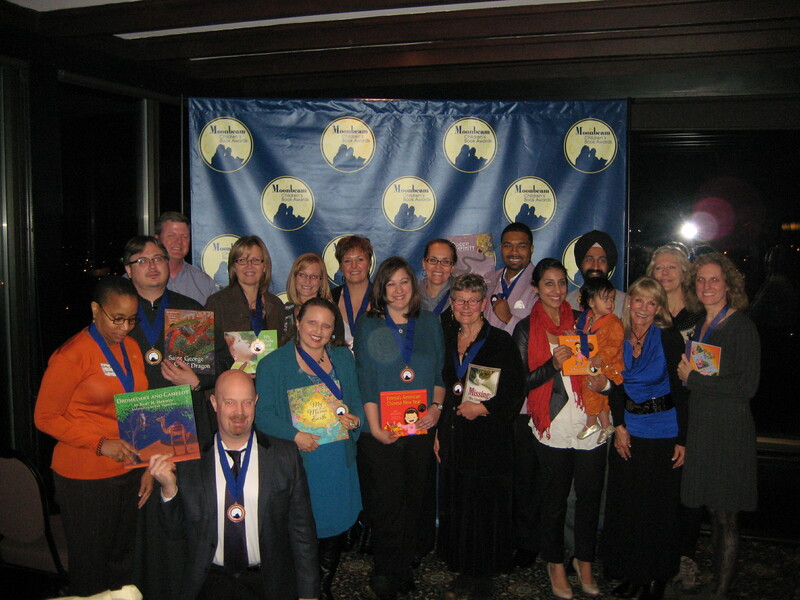 Jenkins Group is proud to announce the winners of the 2012 Moonbeam Children’s Book Awards. A total of 144 medalists have been chosen from nearly 1,000 entries. This year’s winners are a very geographically diverse group: medals went to books from 35 U.S. states, 7 Canadian provinces, and 3 countries overseas. This year’s Moonbeam Awards medal ceremony will be held in conjunction with the 3rd annual Traverse City Children’s Book Festival, to be held on Saturday, November 10, 2012. All medalists and their guests are invited to attend. Listed below are the 2012 Moonbeam Awards results, listed by category, followed by the Moonbeam Spirit Award winners. 5. Activity Book 2 – Educational, Science, History, etc. Moonbeam Spirit Awards – For dedication to children’s books and literacy and for inspired writing, illustrating and publishing. This year we chose five books in five different areas. All recipients will receive gold medals. I’m thrilled to be headed to Traverse City, MI to accept my third place award! What a great honor! 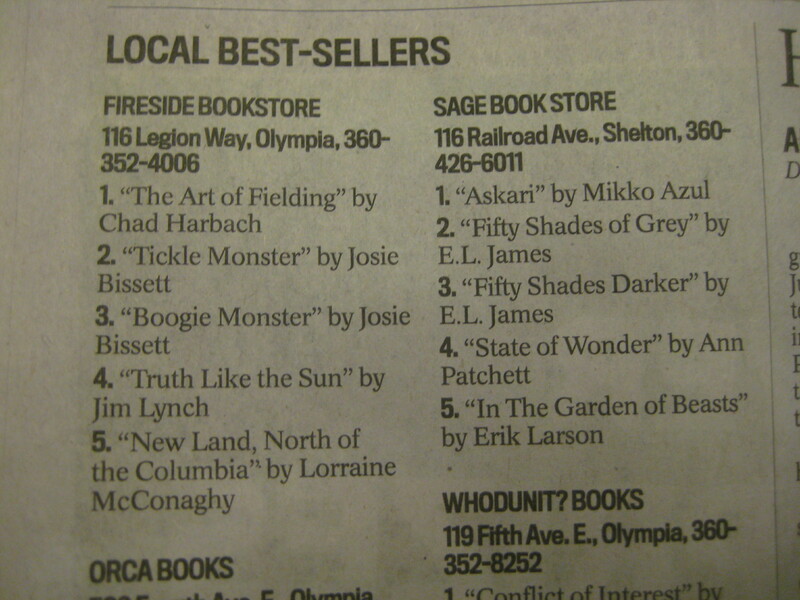 Askari is a local best-seller! My debut novel Askari has been out for nearly a month and the reviews are starting to trickle in. I am pleased to find that my book has been well-received by my readers, yet the inevitable questions are beginning to arise. Who are the inspirations for the characters? Do the places in Muralia really exist? And my personal favorite: Am I a devil-worshipper because I write fantasy? Really? I write fantasy for the same reason that I read it – escapism. It is the same with all fiction, whether it’s fantasy, romance or mystery…readers want a sense of transportation into something or somewhere other than where they are. It’s fiction. However, it has to be believable fiction or it won’t capture the imagination of readers. Verisimilitude is defined as having the appearance of truth. Characters have to be believable, situations have to appear as realistic as possible or they ring hollow and readers have to be able to see, smell and feel where the author has placed them or they’ll put the book down and rent a movie. However, there are dangers inherent to creating lifelike characters and situations…sometimes readers think that they’re actually real. Like most authors, I am first an observer. I try to see everything and note what makes something interesting or memorable. People are wonderful because they have so many facets to their personalities. There are the physical characteristics that make individuals unique, then there are the quirks, turns of phrase, voice inflection and gestures that stick in my memories. To be immortalized in the written word can be a blessing or a curse and I wouldn’t be the first spiteful author to have taken such liberties with folks who have annoyed me or had a significant impact on my life. I have to be honest, there are a few characters in Askari that are modeled after certain individuals. Cedron, my hero, is modeled after my oldest son Dale. Others who have made an impact on characters were a friend from my time as an exchange student in Germany, one of my Marine Corps drill instructors and an exceedingly annoying professor from college. Otherwise, characters have been created using images from magazines or loosely fashioned after people I’ve known or imagined with no conscious efforts at recreating anyone intentionally. The land of Muralia, as far as the book has explored in this first novel, is very similar to the Pacific Northwest where I’ve lived most of my life. It’s beautiful here – mountains, streams, ocean, plains. We have it all and it makes for an impressive locale for any armchair adventure. My day hiking in the Ape Caves near Mount Saint Helens inspired one chapter significantly…coupled with my love of skiing and the idea that surfing and snowboarding should be as fun as they look.As a SCUBA diver, I’ve encountered amazing creatures in the deep that have made it into my writing. Again, it’s all about creating a venue for escape that has the appearance of realism. Magic and mystery can transport us from the challenges or boredom of our everyday lives, but they have to appear plausible. Because I write fantasy, about magic and demons, does that make me a devil-worshipper? Sorry, it’s hard not to grin here. I have researched a lot of Wiccan tradition, satanic rituals and read a lot on paranormal activity, magic and mythologies in order to represent these things with verisimilitude. Despite the risk of offending my readers whose faith may be challenged by my work, please remember one thing: it’s fiction! Philip Pullman’s The Golden Compass was a cautionary tale for me. In his trilogy, His Dark Materials, of which The Golden Compass was the first book, the heroes effectively kill God. This book had the appearance of a criticism of Christian theology…Catholicism in particular. The movie sparked a movement among the churches of our nation to boycott the film as a result of the theme. It was very important to me not to offend anyone in the creation of what I hoped would be pure reading enjoyment. I created deities from polytheistic traditions and creations myths from around the world so that they would ring authentic without appearing to challenge the validity of any one religion or faith. My personal beliefs have no bearing on or in my writing. Dear readers, I am not a satanist or pagan nor do I feel the need to have my beliefs labeled. They aren’t relevant. Again, it’s fantasy…fiction…pure escapist enjoyment. Besides, I haven’t sacrificed a virgin in my back yard in years.